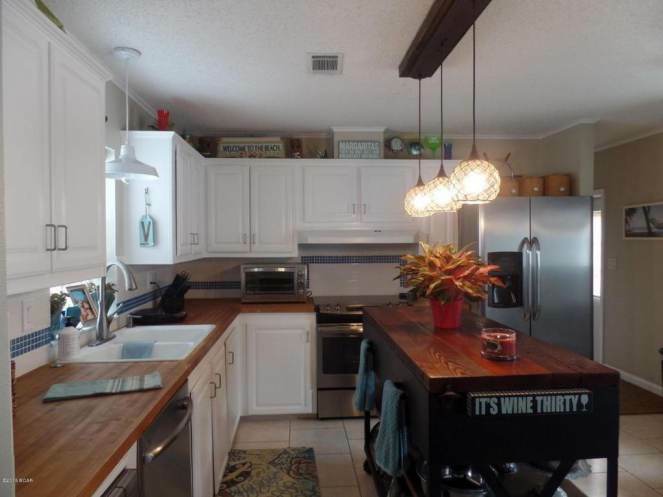 This single wide beach house is a great example of a manufactured home’s potential. It’s beautiful inside and out! The kitchen and the deck are both awesome but the rest of the home isn’t too shabby, either. The great outdoor living space was created by adding a small addition that allowed for a wrap-around deck. It’s a great beach home. 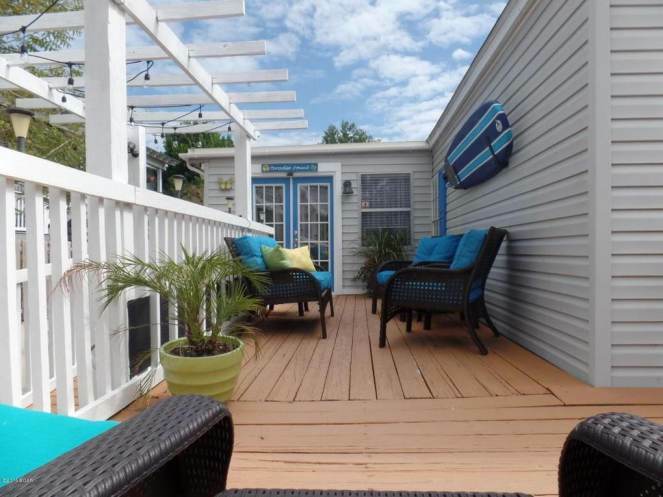 Related: 45 more great deck and porch design ideas for your manufactured home. The sellers updated the property by creating a spacious outdoor living space that takes full advantage of the Florida sun. The interior of the home is just as beautiful as the exterior. 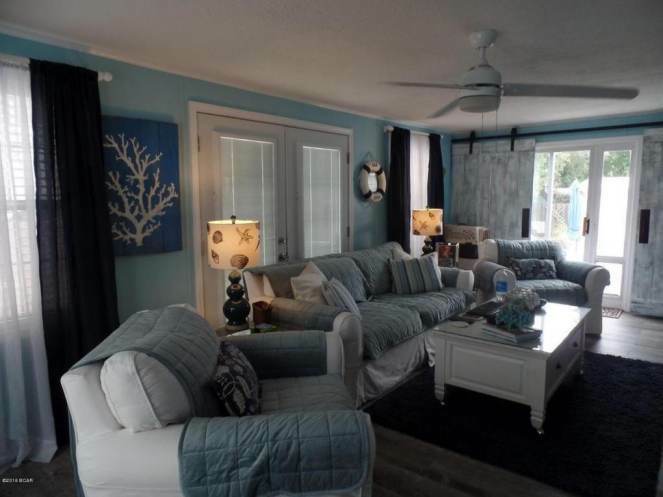 This property is a perfect example of a gorgeous single wide beach house. 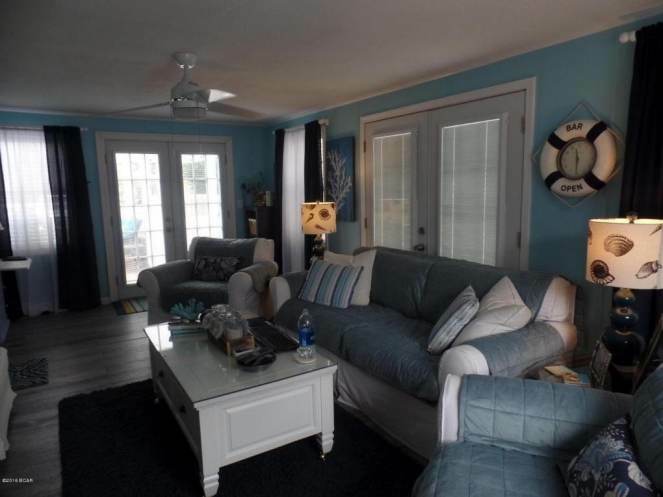 Ocean blue walls and clean white trim is a great beach house color combination. Let the light shine in! This single wide beach house has tons of windows and doors. Letting natural light bounce around in a small home is a great way to make it appear larger. The past couple of years have been all about sliding barn doors. They are great for small spaces that still need a little bit of privacy or cover-up. 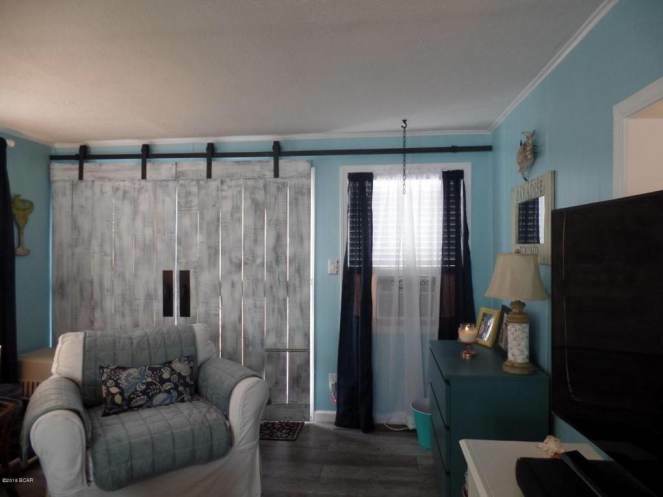 This barn door helps hide a window with an air conditioner. The kitchen is my favorite room in this home. The white base with dark wood trim creates a perfect contrast. The wood warms the space up while the white helps make it seem larger. The dining room is perfectly decorated in a shabby chic beach style. 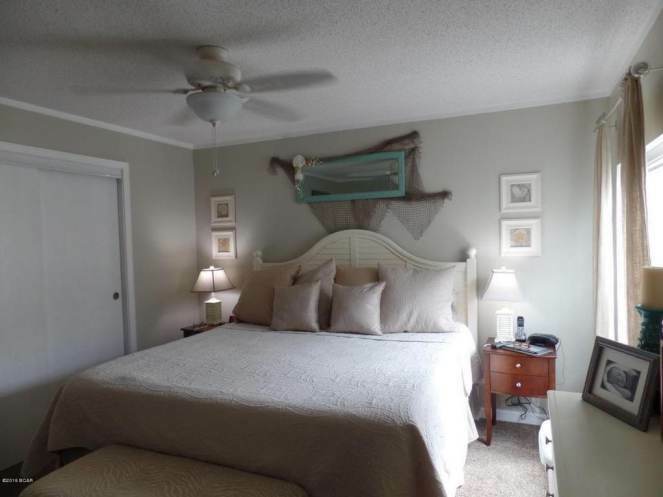 No beach house is complete without a great bedroom. The beach life is tiring! 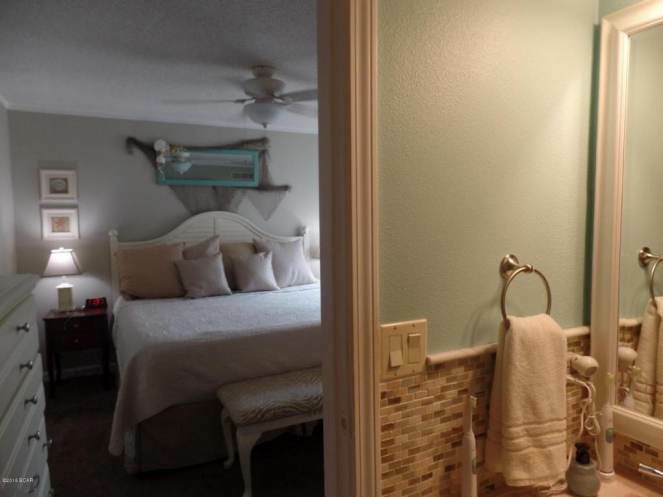 The subtle tones used in the master bedroom and bathroom are perfect for relaxing. 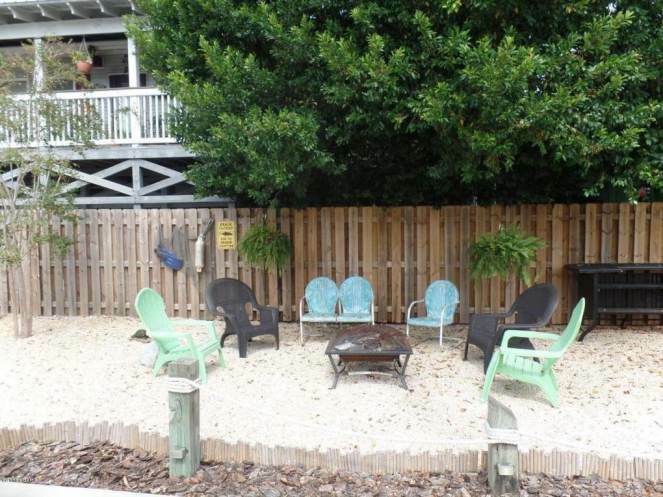 There’s a reason this awesome single wide beach house sold so quickly with an asking price of $167,500. It was advertised on several real estate sites. 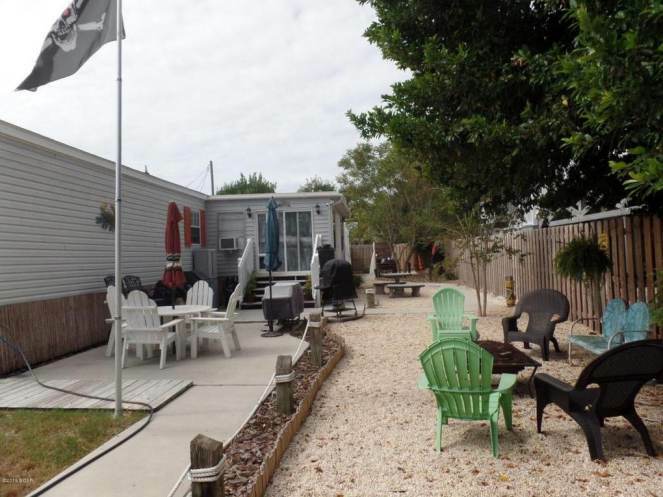 The manufactured home has 1,088 square feet with 3 bedrooms and 2 baths. Taxes for the year are around $1200, not too bad at all for the location and neighborhood. 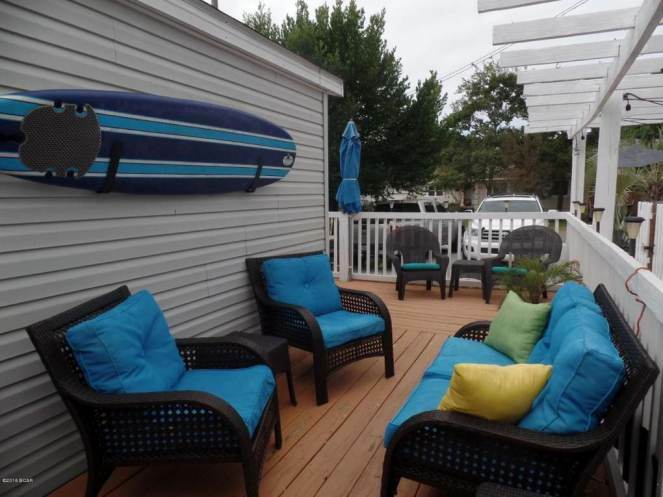 If you are looking for a beach house don’t write off a manufactured home. 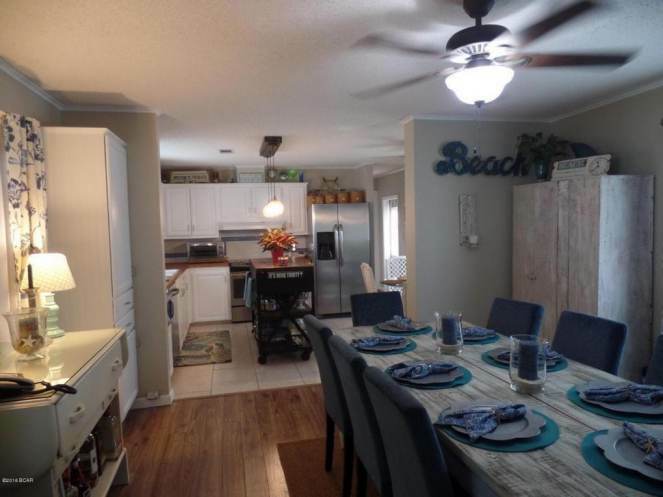 There’s a reason why manufactured homes are so popular in Florida and other coastal states – they are a perfect solution for a second home or a retirement home.